SADiE News: SADiE's new mastering toolkit saves Eric Boulanger "hours and hours"
Cambridge, UK, June 2014: The new mastering features that SADiE has incorporated into its popular SADiE 6 editing and production software have been hailed as a major improvement by internationally acclaimed mastering engineer Eric Boulanger - not least because they are saving him an enormous amount of time. Eric Boulanger is based at the world famous The Mastering Lab (TML), which was America's first independent mastering facility when it was opened in 1967 by Doug Sax. Originally in Hollywood but now based on Ojai, California, TML remains a revolutionary state-of-the-art company that uses unique concepts of signal flow and electronics pioneered by Doug's brother, Sherwood Sax. All of its custom electronics and console are all purpose designed and handcrafted, and this attention to detail has earned TML more Grammy nominations for engineering than any other mastering facility. As well as being an eminent mastering engineer, Boulanger is also responsible for ensuring TML's custom analogue equipment stays in tip-top shape. 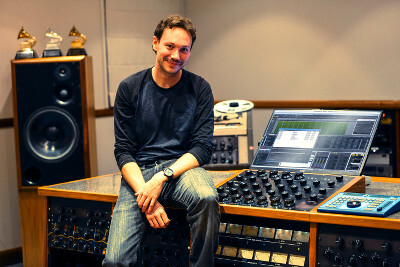 In keeping with TML's pioneering spirit, Boulanger was the first Mastering Engineer to produce a 'Mastered for iTunes' release (in 2011) - a format that is now the mainstay for all major record label releases on iTunes thanks to the popularity of digital downloads. When Boulanger isn't working, he lets his creativity loose in the studio as a professional violinist. He is also on the Steering Committee of NARAS, the GRAMMYs Producers & Engineers Wing. Boulanger has been a SADiE user since 2007 when he started working at TML. "We have five operational systems that range from the early Artemis to our current SADiE 6.1 systems," he says. "These are our workhorses, but when we are working with DSD, we use an older SADiE 5 DSD8, which is still the finest DSD editor I've encountered." TML's decision to upgrade its SADiE 6 software to the latest version, which includes the new mastering tools, came as a result of changes within the music business. Boulanger explains: "These days, artists and labels are mainly releasing Hi-res files (for example HDTracks); MFiTs, 16Bit digital downloads, and (maybe) CDs. Thanks to the new mastering features in SADiE 6, I can generate all of these files with just a few clicks of the mouse. The new software will also generate WAV file masters that are cut gapless and therefore maintain any track spacing, or fancy crossfades between tracks (like Pink Floyd's Dark Side of the Moon, for example, or a live concert with applause segues). Now all the different products will match track length, etc." The main benefit the new version of SADiE 6 has brought to Boulanger's workflow is time saving. "It is literally saving me hours and hours of production time because I no longer have to recreate separate EDLs and jump through hoops to create WAV bounces that match other sample rate or CD products," he says. "I also don't have to bounce grouped clips with extra space tagged on to maintain correct gapless track spacing." Boulanger adds that, thanks to the efforts of the European Broadcasting Union and the UK Music Producer's Guild, SADiE 6 also supports Broadcast WAV, an extended WAV format that allows ISRC codes to be embedded into the XML Metadata of WAV files. "This is a solid step forward in making WAV file masters a professional format," Boulanger says. "Prior to getting this new software I had to manually rename files - and, of course, there was no possibility of including ISRC codes in the metadata." Since installing the latest version of SADie 6, Boulanger has been working on various albums, all of which have benefitted from the speed at which he can now turn project around. "The day I received the new features, I was working on a popular Christian group's live album," he says. "They had attended the session and were in a rush to make a flight, so I gave the new features a whirl since there were many edits and crossfades to create the live album experience. To my delight, everything worked perfectly right off the bat, and the band made their flight, masters in hand." Boulanger, who has worked with artists such as Eric Burdon, Colbie Caillat, OneRepublic, The Plain White T's, Serena Ryder, Chris Botti, Sarah Jarosz, and Jackson Browne, has most recently finished an album with multiple formats for singer Anais Mitchell. Produced and mixed by Gary Paczosa, it will be released on Wilderland Records later this year.